The Top 10 Most Popular Posts Of 2016 On Quill & Pad . . . And, No, They Weren’t All About Rolex! As read by you,­­ here are the top 10 most viewed articles on Quill & Pad for 2016. A few may even surprise. Drum roll, please: in no particular order we have . . .
GaryG, our resident enthusiast collector, had thus far managed to avoid a Rolex model in his collection (which he explained in Why I’ve Never Owned A Rolex – And Why I Might Yet). But then he unexpectedly bought a Rolex GMT Master II. Why? What changed? You can find out at Great Rolex Experiment With The GMT Master II Or How I Learned To Stop Worrying And Love The Crown. It’s not always easy to find practical information on how to take care of your watch when reading special interest publications or even just googling. It’s a good thing John Keil is so well-versed in retail matters. Here he explains five obvious or not-so-obvious ways to damage your watch in his usual tongue-in-cheek manner. Worth a read no matter how advanced your WIS level is! Check out 5 Unexpected Ways You Might Damage A Mechanical Watch. We know you love Rolex. And I mean loooooooooooove Rolex. It’s really obvious. 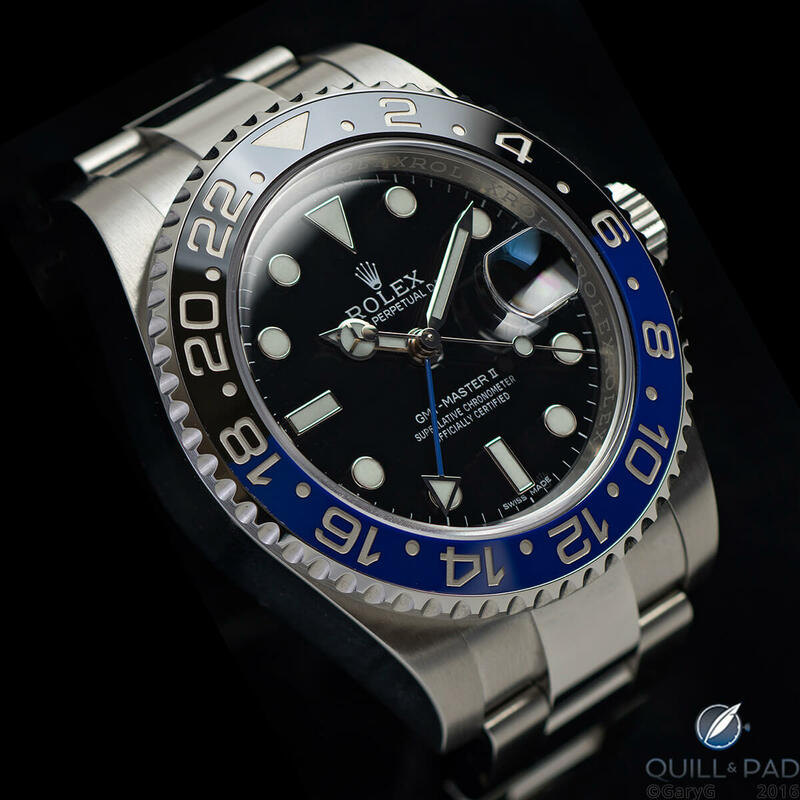 But we wondered how you might react to What Makes Me Tick’s irreverent description of how he had his Rolex Explorer II permanently altered with dial and case colors he chose himself. Well, as the comments show, some of you were horrified while others of you found it cool. But none of you seem to have been able to look away. You Know You’re a Watch Guy Or Gal If . . .
John Keil has spent a lot of time figuring out what watch lovers like and don’t like. And he speaks from experience as he is one of the biggest watch nuts I’ve ever had the pleasure of getting to know. Therefore, it certainly wasn’t difficult for him to make this tongue-in-cheek listing of the crazy things we WIS brothers and sisters tend to do in daily life that may well be perceived as, uh, idiosyncratic. As an added bonus, “koimaster” posted another WIS listing of habitual idiosyncrasies in the comments that may also have you shedding another tear or two in mirth. See You Know You’re a Watch Guy Or Gal If . . .
Well, don’t say I didn’t tell you so: here’s Rolex again! Quill & Pad’s resident gentleman Martin Green is a longtime fan of Pierce Brosnan. And for this reason, he has of course followed the British actor’s choice of wrist wear since the beginning. And now you can also see his evolution in watch taste, both personally and professionally! And it’s not all James Bondian at The On- And Off-Screen Watches Of Brosnan, Pierce Brosnan. John Keil to the rescue! This post provides some very serious information on security in watches – whether you are a consumer or a retailer. The information here on the availability of stolen watch registries may also just save you from a ton of horological heartbreak! Check out 6 Reasons You Would Have To Be An Idiot To Steal A Fine Watch. We always knew there was a fairly tight tie between people who like fine watches and people who like fine writing instruments. But it’s pretty gratifying to know that there seems to be quite a bit of overlap in who these people are. Here at Quill & Pad, we love good pens. And you seem to as well, so take another look at what appears to have been your favorite new writing instrument in 2016 in With Rouge et Noir Montblanc Celebrates 110 Years Of Red And Black Writing. They say that beauty is in the eye of the beholder, and as a lifelong watch fan, I certainly know it is! This is a major reason I have never personally tried to make an “ugliest watches” listing and just attempt to stick to the facts when I conceive themes for my posts. However, John Keil seems to fear absolutely nothing (and if you knew him in person, you might agree). So without further ado, get ready to laugh out loud at the five ugliest watches he’s ever seen. Number one is certainly one we can all agree on, I am sure. 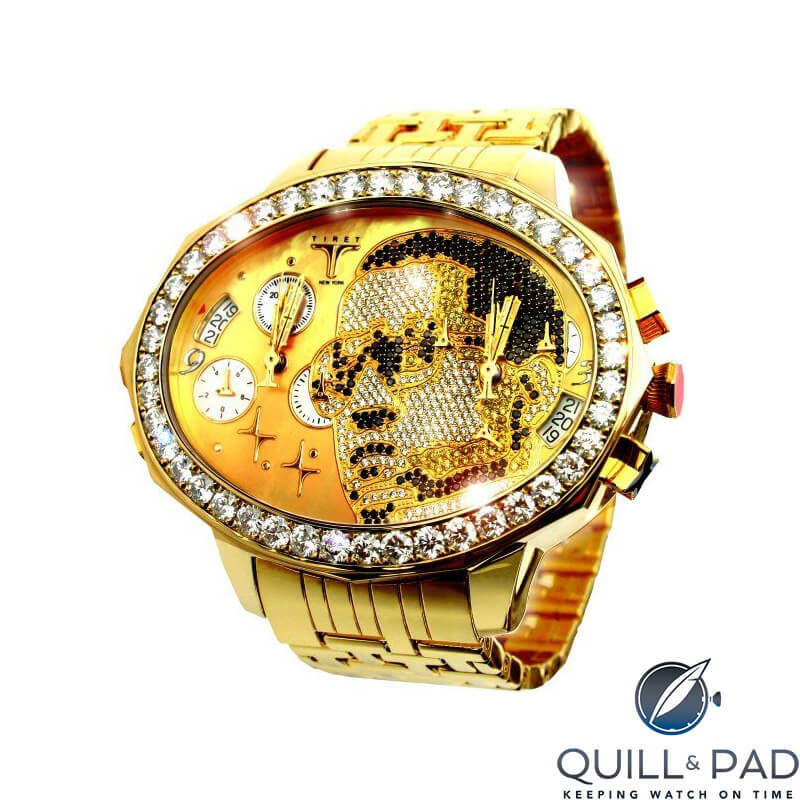 But as I said, beauty is in the eye of the beholder so decide for yourself at My Vote For The 5 Ugliest Watches Ever. I have to say that this post nipping into the top ten of 2016 did surprise me a bit, but more than that it delighted me! Both the subject matter – the artistry that is Romain Gauthier’s wristwatches – and the astounding photos that GaryG conjures up like magic are great reasons to read this post, never mind the rest! I am pleased beyond belief to know so many of you agree. See why at Why I Bought It: Romain Gauthier Logical One. You may also enjoy The Top 10 Most Popular Posts Of 2015 On Quill & Pad.